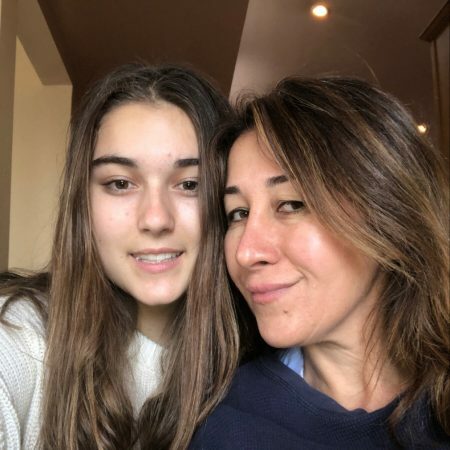 In November of 2018, 14 year old Isabella Orlando interviewed her mom, Mandana Orlando in Sherman Oaks, California. The stories all take place in Santa Monica in the 1990’s. Isabella asks about everything, from how she met and fell in love with her husband to raising their kids. Moving from Iran at age 14, Mandana had no idea she would go against her culture and marry an American. Isabella learned so much she did not know about her mom, like the interesting way her father proposed to her, their honeymoon, and how she would raise her two kids differently, only if she could do it over again. Through her Mother’s story, she saw how daring, strong, and independent she truly was.